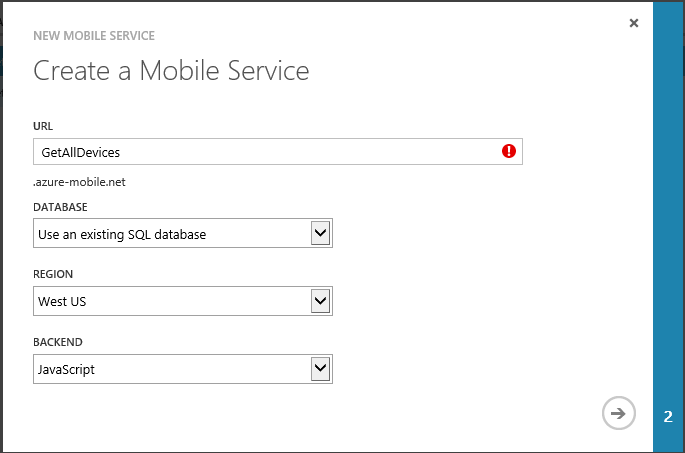 Mobile services is one of the wonderful thing i have seen on azure in 2014. 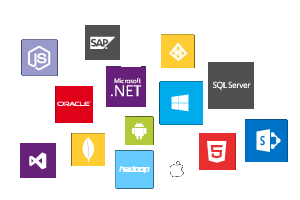 These services are build on top of the existing Azure infrastructure and the service is hosted by a Web Role and data is stored on a SQL Database, they’re just simpler for the developer to create and to interact with.Windows Azure Mobile Services are designed to create highly-functional mobile applications with ease . Simple provisioning and management of tables for storing application data. 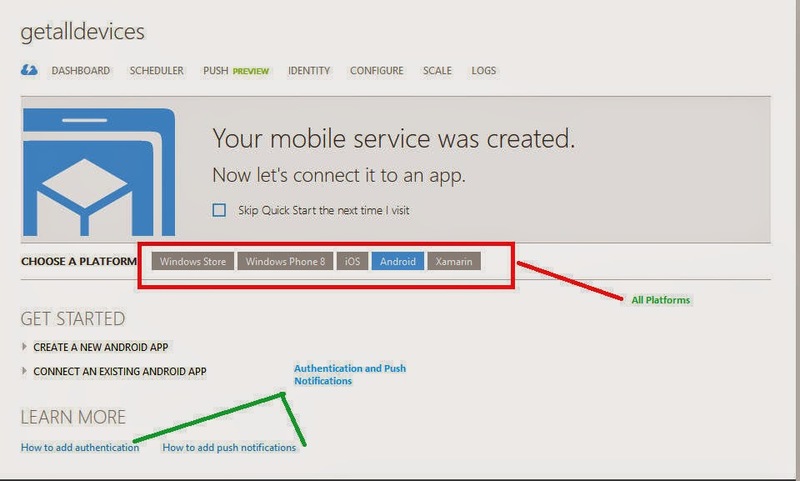 Integration with notification services to deliver push notifications to your application. Create a straightforward and secure backed-as-a-service to handle common tasks and get relieved from burden of focusing on the front end that users much bother about. This Step is about database where we will be forced to select Create a new SQL database, unless you already have other SQL Azure instances. 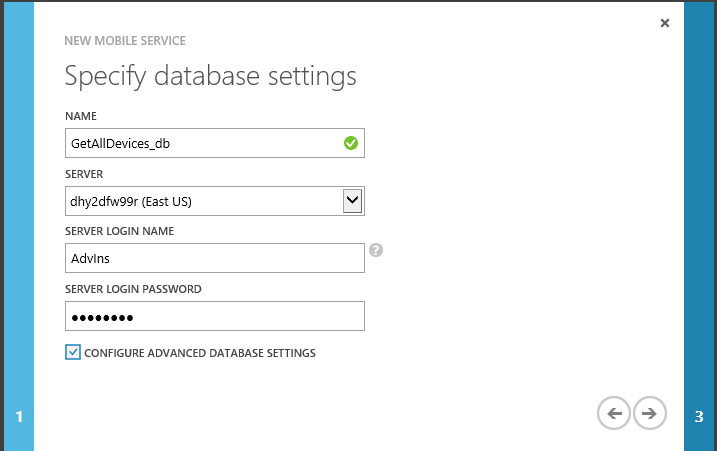 The server where to store the database (use the default option, that is New SQL Database server). Credentials(UserName and password) of the user that will be used to access to the database. This is all about mobile service and we ’re done!. Now service is up and running! If you go to the URL that you’ve chosen in the first step you’ll see a welcome page. This is the only “real” page you’ll see: we have created a service, specifically it’s a standard REST service. What Next ? Next we’ll see how we will be able to do operations on the database simply by using standard HTTP requests. NOTE: Below implementation requires Visual Studio 2013 Update 2 or above. Alternatively, you can create a local project first and create the mobile service later when you want to publish your project. 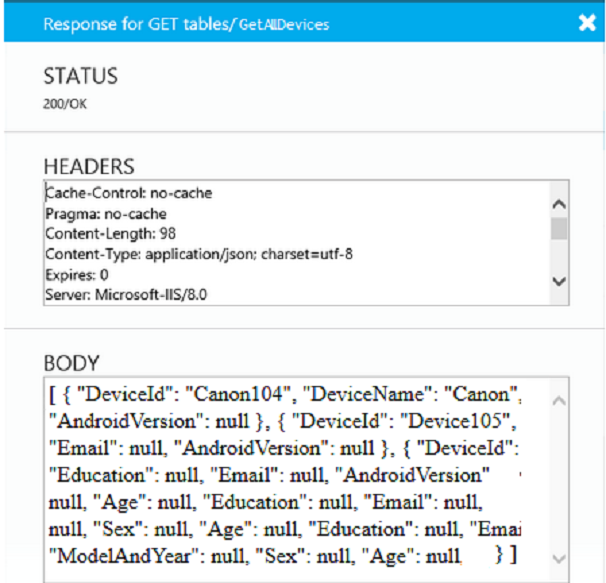 Either way what you’ll get is a Mobile Services .NET template project. Notice this is simply a Web API project with few additional Nu Get packages used. Notice we already scaffold all the key CRUD methods for the TodoItem resource. Just replace above controller name with DeviceController.CS and code with operations you want to ... here is what i am doing..
With Mobile Services .NET support you can run Mobile Services backend locally and debug your backend logic. Hit F5, on the default page choose “try it out”. 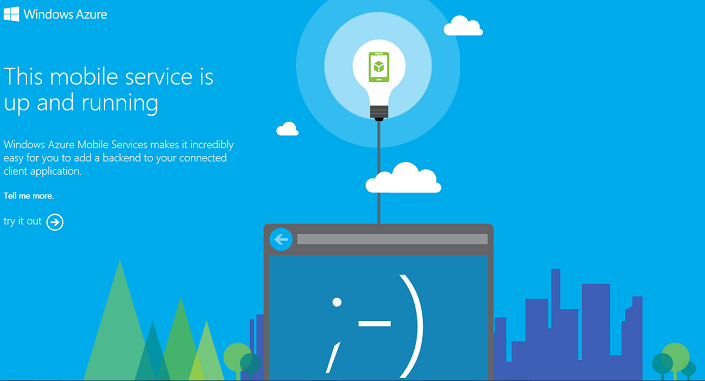 Mobile Services .NET support comes with a help page for your Web API, as you would expect. Click on the GET tables/TodoItem for me GetAllDevices to bring up method documentation, as well as the test client. Click on the “try this out” link and then press “send” to invoke the GetAllDevices() method. As you expect, you will hit the breakpoint you’ve set up earlier. Once you are done developing your backend API, you can publish your Web API to the Mobile Service. 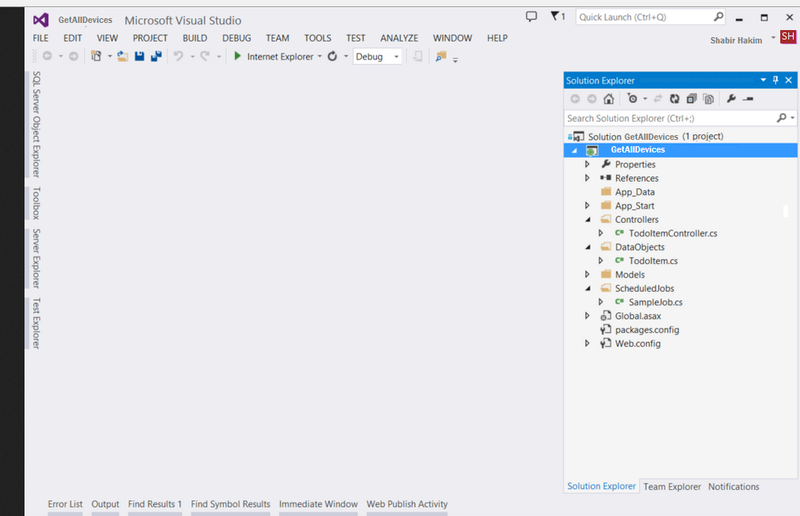 Publishing support is built right into Visual Studio, simply right-click the project and select “Publish”. 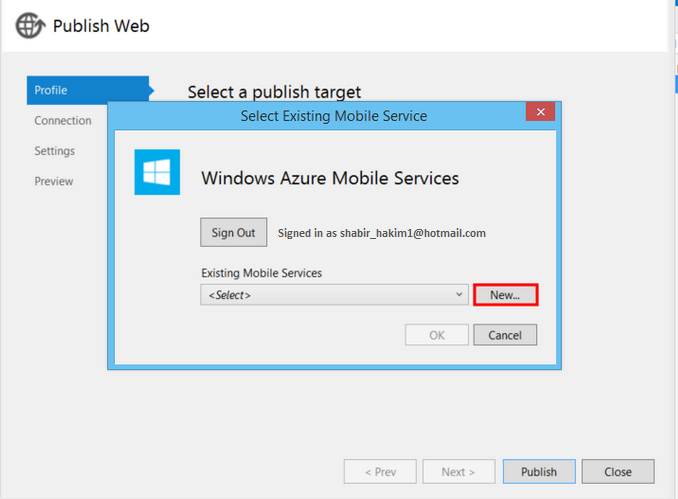 You can pick an existing mobile service or create a new one right from within Visual Studio, without having to go the Azure portal. 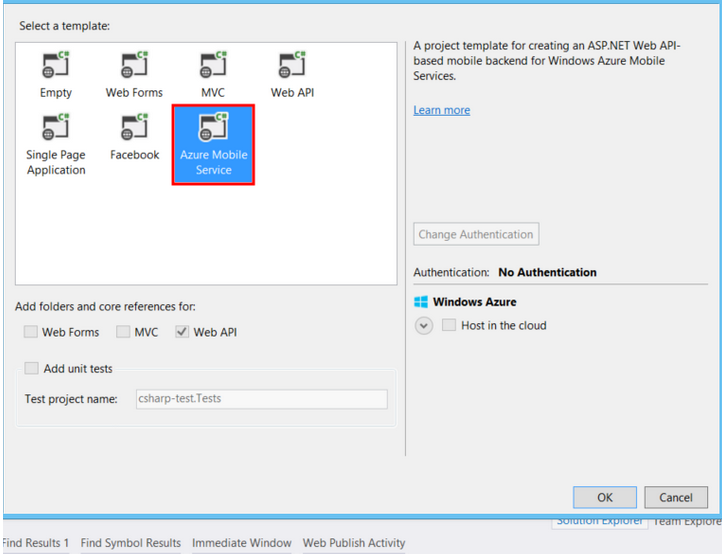 Conclusion:Writing mobile service has become fun a.The service now has full support for writing your back end logic using ASP.NET Web API. Mobile Services presents an attractive choice for developers building mobile facing APIs with ASP.NET especially integration with enterprise level application.